Thanks to the Yarnsisters, I was recently the very lucky recipient of a couple of gorgeous balls of Zealana’s AIR MARLE. I felt extremely happy to receive the MARLE because I haven’t seen anyone retailing it in New Zealand and so hadn’t been able to get my eager paws on any of this amazing stuff! For the many who have not seen this yarn yet: it is almost too sumptuous to be believed. It is made from three twisted strands of AIR laceweight – outrageous luxury! (The Zealana AIR range is all comprised of a heavenly 40% cashmere, 40% brushtail possum down and 20% mulberry silk blend). 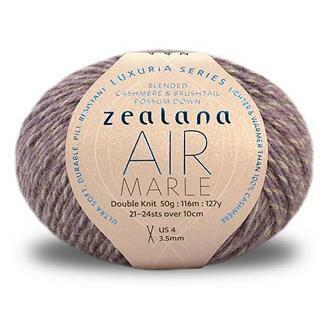 AIR MARLE represents ultimate softness in the extreme, yet there is great strength in the yarn due to the three tightly plied AIR laceweight strands. 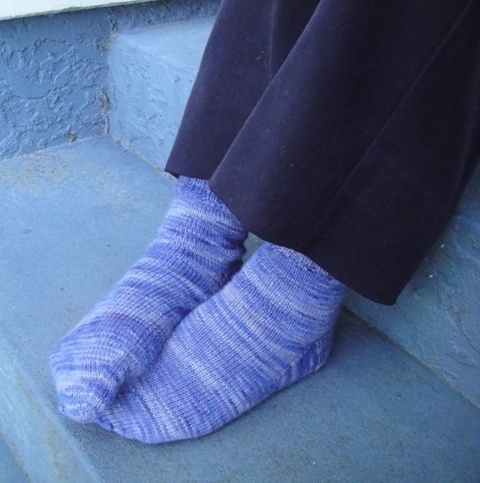 The blue yarn is some Zealana AIR laceweight that I have. 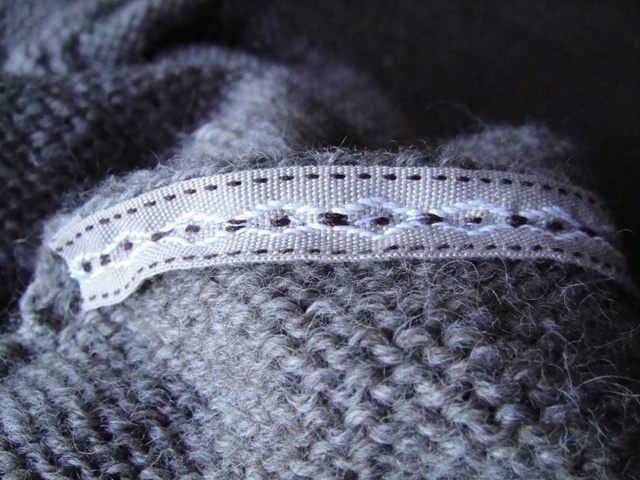 You can see how the strand weight and composition is exactly the same as the individual strands within the MARLE. Someone needs to stock AIR MARLE! It is not in AIR MARLE for obvious reasons. I used a possum/cashmere/merino blend from Mohair Craft. I did think I would like a shorter hat at first, but when it is winter, and there is a fierce, cold wind blowing, there is nothing more that I like than extra protection for the ears and neck! A longer hat it became! 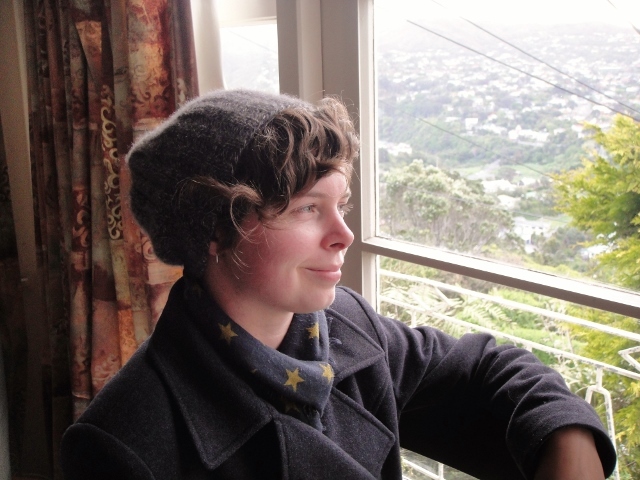 I have constructed the band/brim of the hat in a tighter tension than the body as I feel this is the best way for hats to be in the windy Wellington climate. This way there is less risk of the hat blowing off in the wind, but you also get a nice slouch happening in the body of the hat with the use of larger needles. 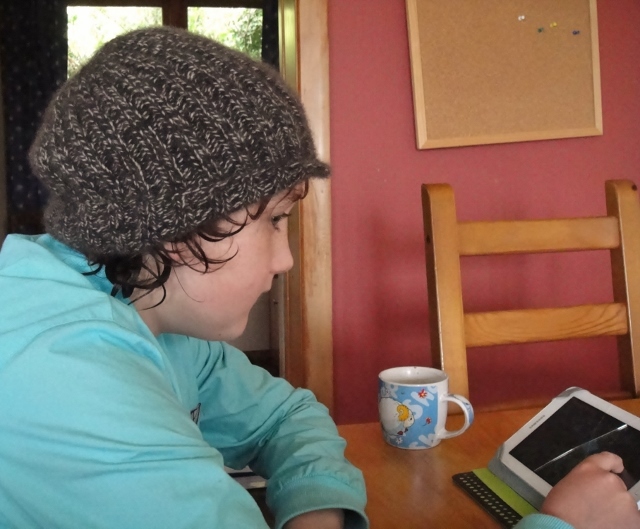 The tighter band has also given this hat the added benefit of the ability to shape it as you will without it being overly tight (I was quite surprised he got it to peak like that). 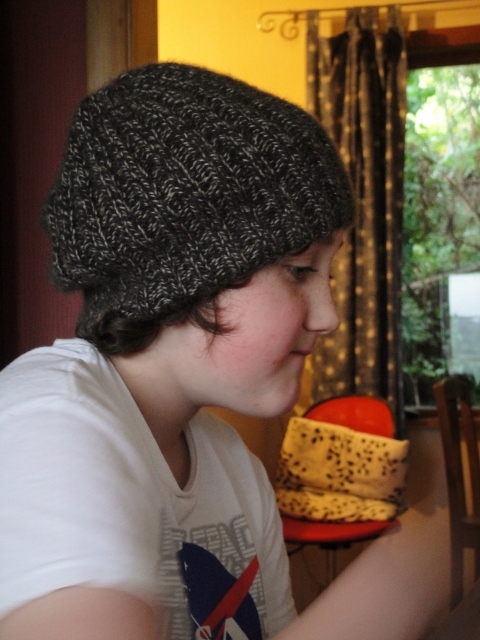 It’s a very simple hat to make, suitable for all levels of knitter, and very quick to knit. The shorter hat was made over a day. The pattern is based on a design I have used a lot over the years. I decided it needed to become a pattern so I don’t have to sit down and think through the math every time I want to knit it! 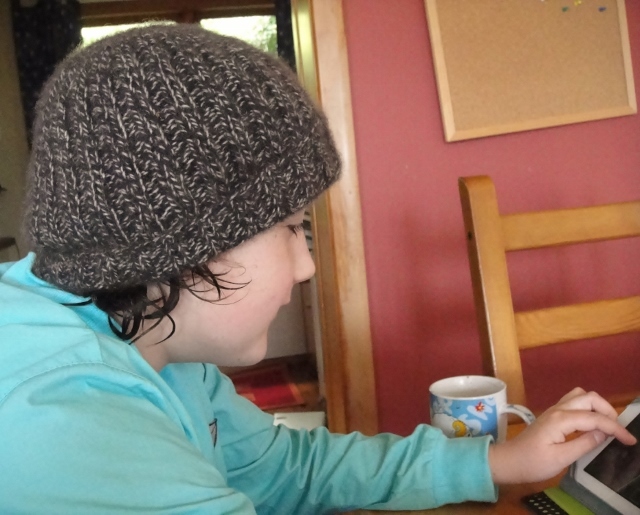 When Audry came over on the day I finished it, the first thing she saw was the hat on the table, and she wanted to wear it too! 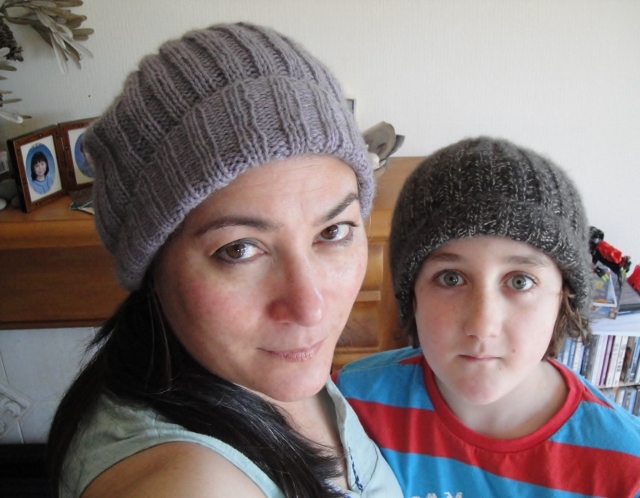 I have used the magic loop method to knit the hat, but you can also use DPNs in the same sizes as noted if you prefer this method of knitting hats in the round. Categories: Designing, Finished Objects, Free patterns, hats, Possum | Tags: hat, Knitting, possum yarn, Simple Hat, Zealana | Permalink. Today, I bring you the Tidal Hat. 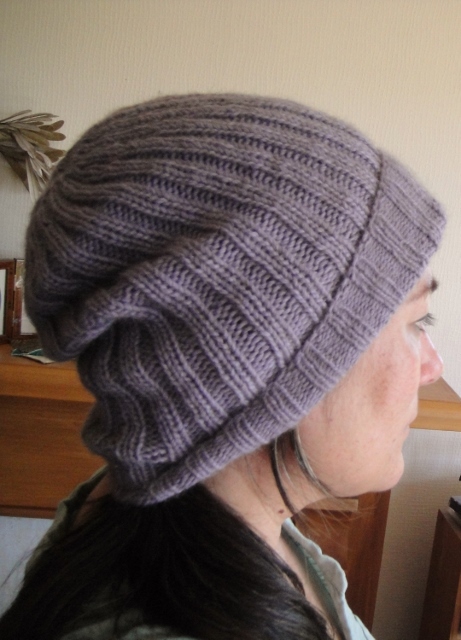 You’ll have seen a previous incarnation of this hat before on my blog, but I never had the motivation to write up the pattern. It occurred to me that it would make a nice addition to Sustain the Sea, so here it is! 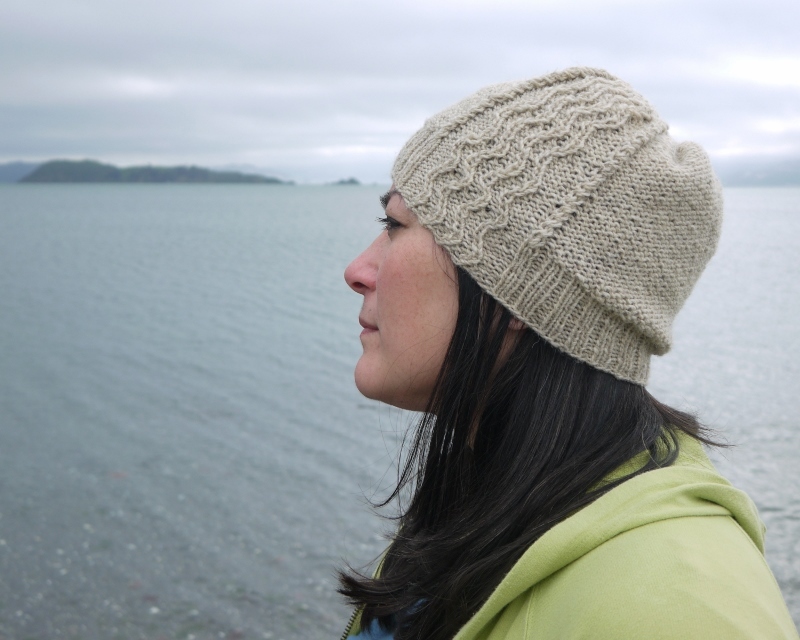 This hat celebrates water and the sea, its ebb and flow, and the sandy beaches where rivers join the sea. If we look after the quality of the water and air that goes into the sea, it will help the sea look after us. This pattern depicts water as it ripples down the rivers to the sea, and the waves of sand left behind when the tide goes out. 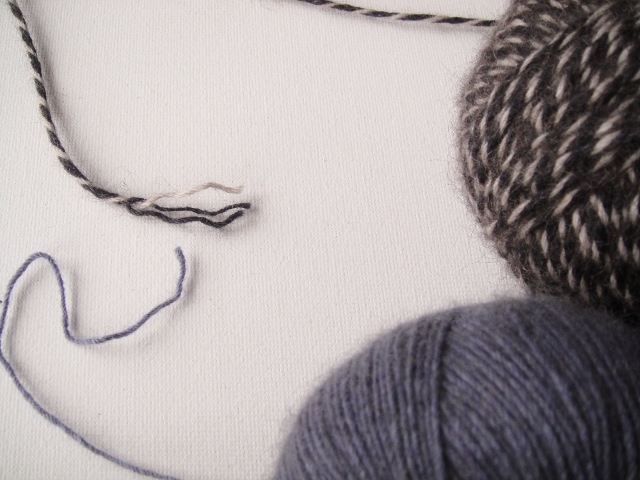 Purl stitches reflect the grainy sand, and the reverse stocking stitch gives the hat a slight ‘slouch’. The twisted stitches framing the ripples represent shells that are so much a part of the beach, and a visible reminder of the fragile balance of life in the sea. 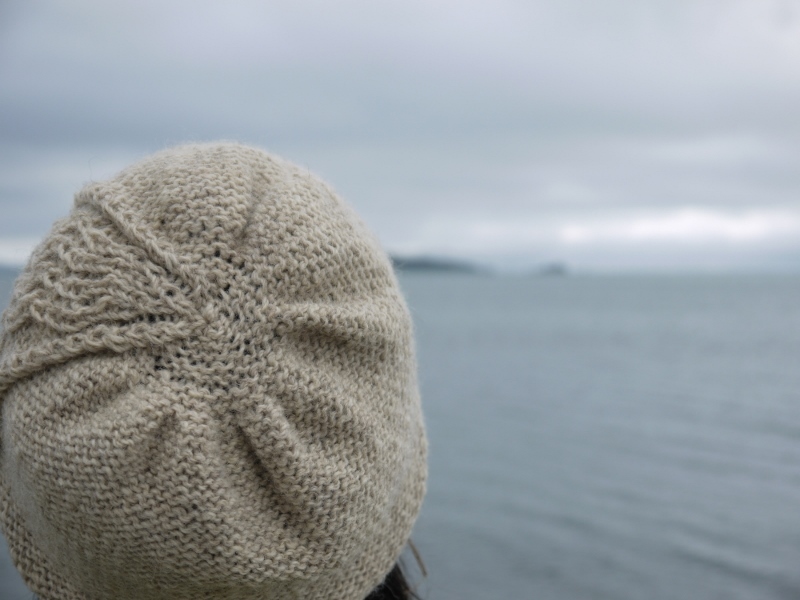 The brim is knitted with a smaller needle to keep it from stretching too much over time, and allows the hat to hug the head so it is less likely to blow off in the wind! The looser crown gauge makes a hat that is comfortable to wear and flatters the face. 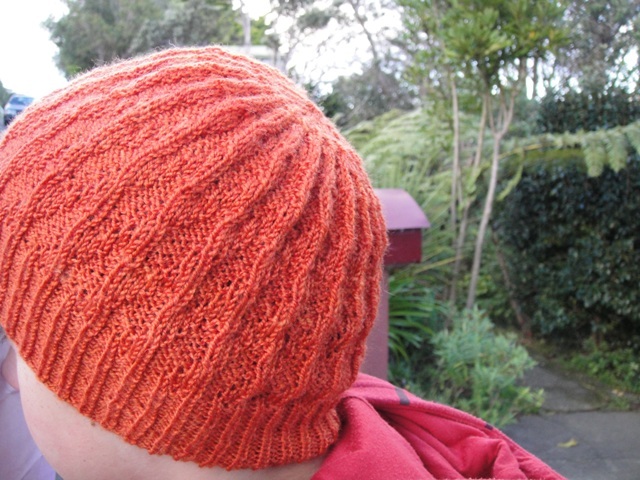 I encourage you to try the no-cable-needle method to knit the waves. It’s very easy, and will save a lot of time and fiddling with cable needles! Instructions on how to do this are contained in the pattern. Magic loop with a long circular needle to knit the hat, and you’ll even be able to bind off the crown without changing to DPN needles. I selected a beautiful, crisp New Zealand Corriedale yarn: Anna Gratton’s Little Wool Co. pure wool naturals in Pumice, to reflect the colour of sand and shells and convey a sense of purity to the design. The structure of the spin has a liveliness that provides great stitch definition. 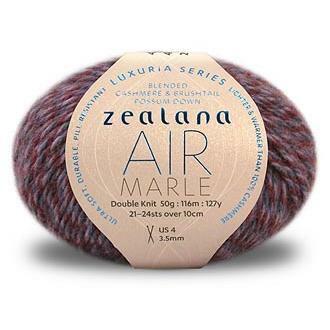 It’s one of my favourite New Zealand yarns – durable, comfortable, warm. 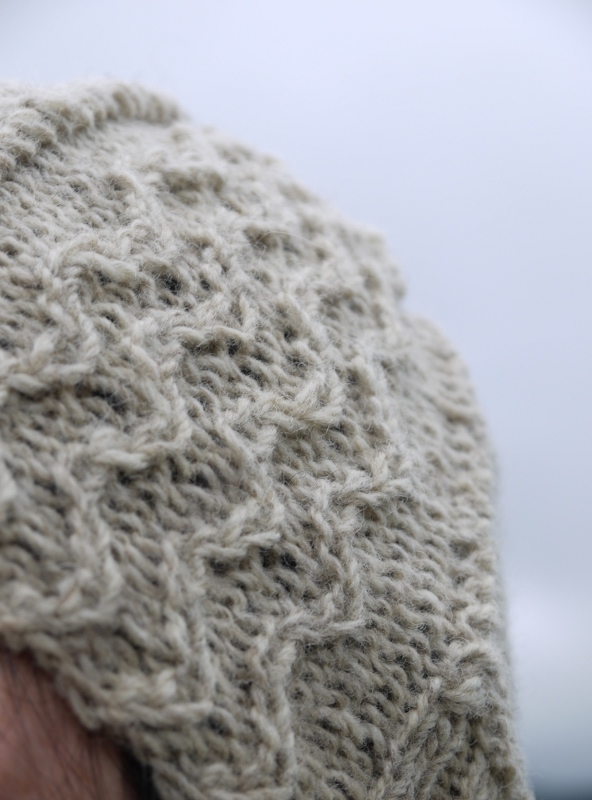 Using this wool is also a sustainable choice for me – it is a natural colour, and it has been grown, shorn, spun and now knitted all within a two hour’s drive from where I live in Wellington. I’m very lucky to have access to such wonderful wool. If you’d like to use the same yarn I chose, you can find it here, or email Anna Gratton direct at filaro AT farmside.co.nz. 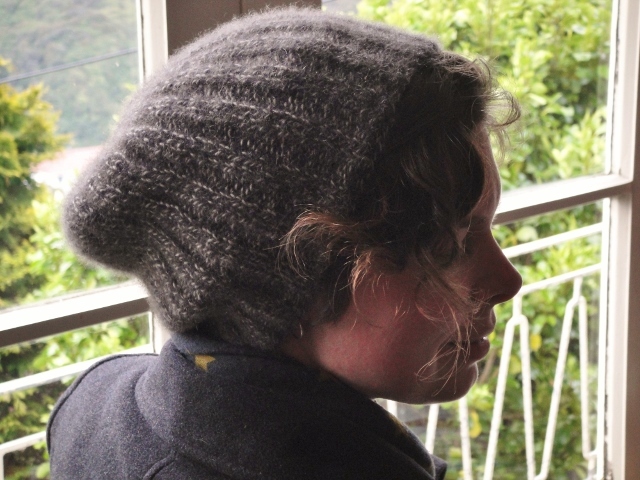 Download the free pattern here: Free pattern: Tidal Hat or on Ravelry. 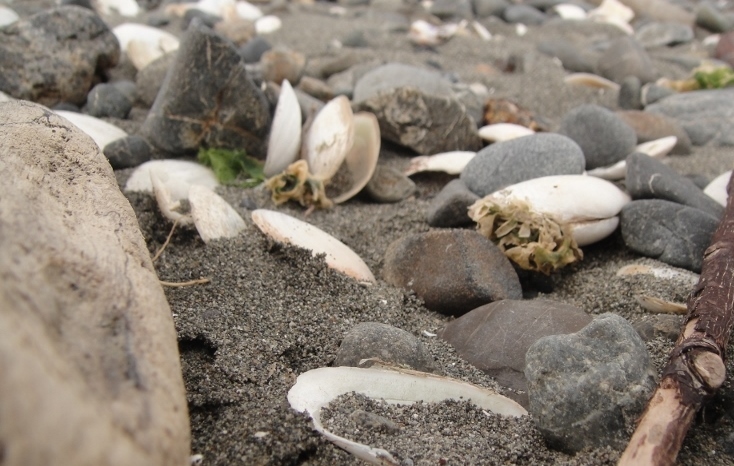 My thanks to the oldest boy for patiently taking photos for this pattern at the mouth of the Hutt River, where the river meets the sea. Categories: Corriedale, Designing, Finished Objects, Free patterns, hats, Sustain the Sea, Wool | Tags: Anna Gratton, clothing, FO, free pattern, hat, Knitting, Little Wool Co., New Zealand yarn, Sustain the Sea, Tidal hat, Wool | Permalink. This weekend was very productive. I finished the hat. I am very happy with how it has come out, and the design has inspired thoughts of several patterns. We shall see if anything comes of it. My pattern-writing mojo seems to have fizzled at the moment. For now this hat has a title to do with water. Don’t you think it looks just like rivulets of water? This is the inside shoulder seam. I added cotton tape (quite happy I had some nice stuff that looks good too) which is an old trick to stabilise the shoulder and prevent stretching from occurring. I worry that the weight of the sweater will in time cause the shoulder to lose shape and sag. The tape has been sewn into the seams of both shoulders, and should prevent this possibility. 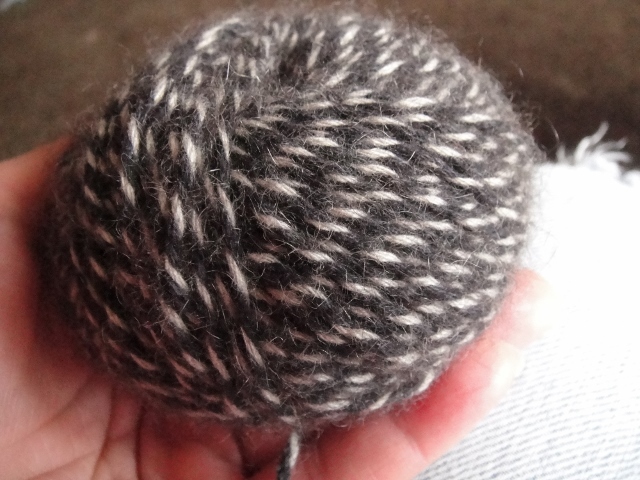 Delicious BFL from Squeaky Elliott, another generous gift from Kb. The possum scarf also got finished. Just in time for the polar blast that hit tonight! I will try to convince a young man to allow me to photograph him in it at some point. He happily wrapped himself in its cuddly warmth and softness when he got in from school today, as it was finally dry from blocking. All that finishing meant that the only WIP I had left in my basket was the Southern Skies shawl! I felt bereft. The basket looked lonely. Needless to say, a couple of WIPs have since sprung on to the needles. 🙂 For one, I think I need to get some mittens done tonight so that someone’s hands don’t freeze on the way to school tomorrow! 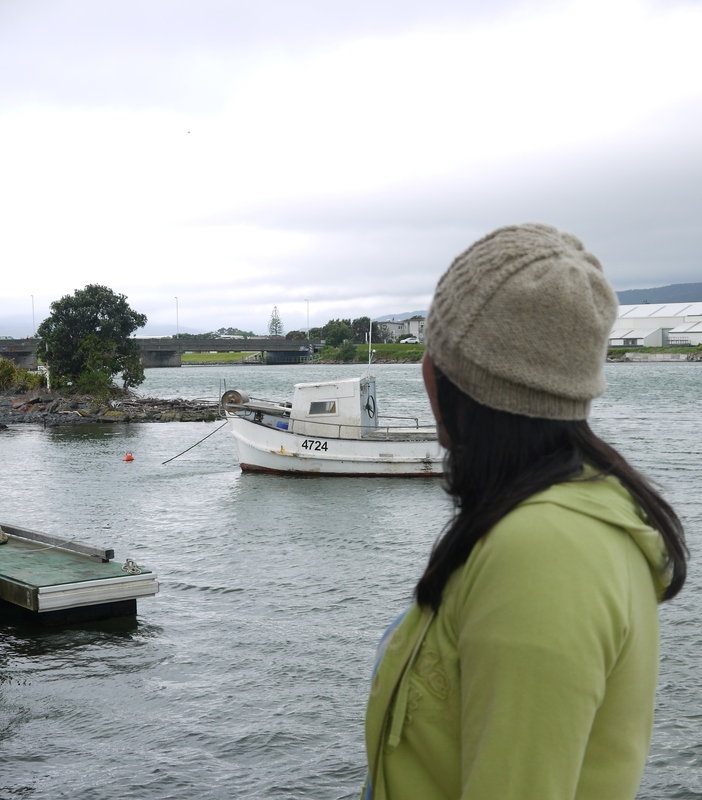 Categories: Designing, Finished Objects | Tags: FOs, hat, hoodie, Kangaroo, Knitting, socks | Permalink. It seems that this week is hat week! 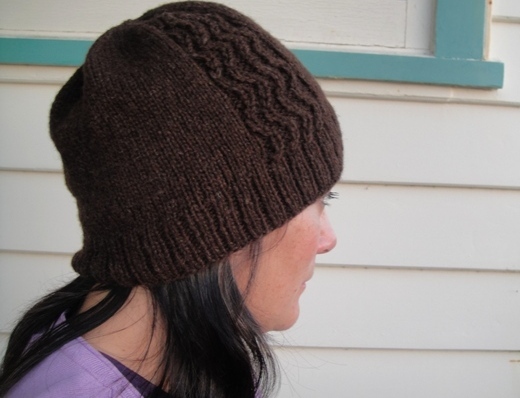 Inspired by the gorgeous chocolate wool I used for the ribbed beanie, I decided to knit another in DK weight yarn this time. This one is called Tidal. The undulating twisted stitches remind me of how the exposed seabed looks at low tide. Knitted in Anna Gratton’s Little Wool Co. DK pure wool naturals in the natural dark chocolate colour, Peat. I really like it. It does all the right things for me – looks good on my head, covers the ears and keeps the neck warm, and it’s not too tight and not too loose. And there is just the right amount of patterning on the hat to suit my sensibilities. I’m hoping to have the pattern ready in time to have a hard copy at Anna Gratton’s stall at the Wonders of Wool market, but no promises. If it is, it will be free with yarn purchase (there will be 100g skeins of natural DK yarn as well this time). In any event, the pattern will be available for download from my blog within the week. 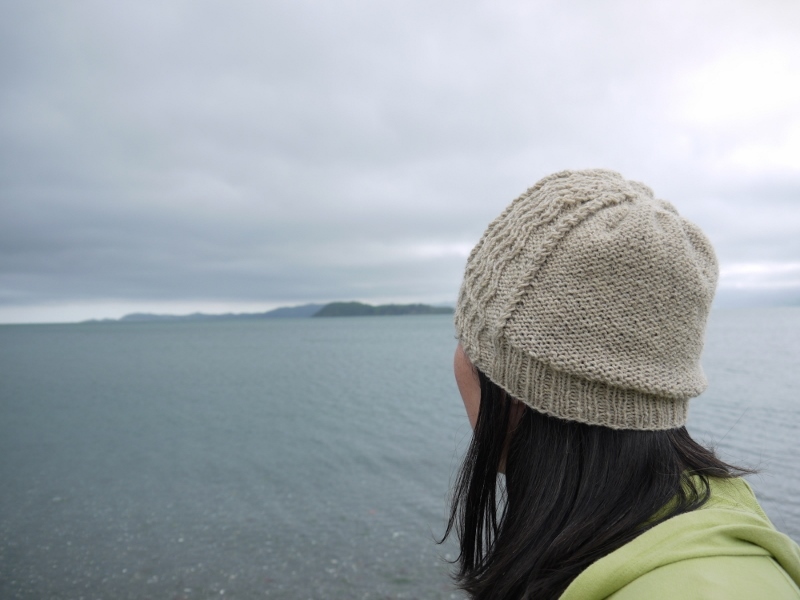 Categories: Corriedale, Designing, Finished Objects, Free patterns, Wool | Tags: Anna Gratton, free pattern, hat, Knitting, New Zealand yarn, Wellington Underground Market, Wonders of Wool, Wool | Permalink.